Professor Zhang of Lehigh University has been working for several years to develop a remediation method to clean up ground-water contaminants, using nanoscale metallic particles. He has been field-testing the method at several industrial sites. The industrial sites are contaminated with such toxicants as polychlorinated biphenyls (PCBs), DDT (a potent pesticide), and dioxin. These are all chlorinated hydrocarbons and persistent organic pollutants of types that are fairly insoluble in water; they are found mostly in soil sediments, and fatty animal tissue. So far, the results of his research have been very encouraging. Professor Zwang's technology involves pumping nanoparticles (iron-based particles measuring 100 to 200 nm) into the contaminated groundwater. The nanoparticles are almost all iron with less than 1 percent palladium. Palladium (Pd) is a rare silver-white metal and is used as a catalyst in catalytic converters on cars. When the iron-based nanopar-ticles are applied to water or soil contaminated with carcinogenic chlorinated solvents, the particles remove the chlorine and convert the solvents into harmless hydrocarbons and chloride, commonly found in table salt. 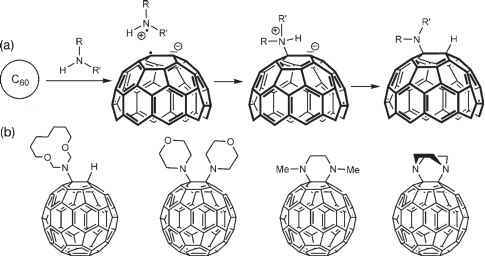 Professor Zhang's nanoremediation offers potential advantages over existing conventional methods. One of the advantages is that nanoremediation avoids digging up the contaminated soil and treating it—this is a very costly treatment process.